Over the years, labneh has become a fixture in my kitchen. 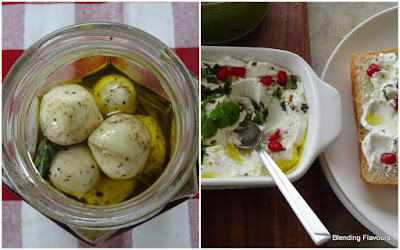 I didn’t know about labneh before getting into food blogging. 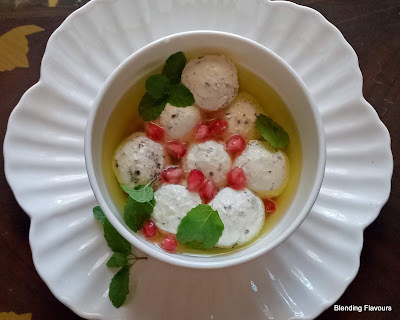 Earlier, dahi was always consumed on its own or made into raita. Occasionally, it would be added to cooling drinks but consuming it on its own was the preferred ritual. I do set dahi at home but for labneh I usually buy a 400 gram container of Mother Dairy dahi. Then I add salt to the contents, line a colander with cheesecloth and let the whey drain out for an hour or so. The colander is placed in the fridge where it sits for at least 24 hours. 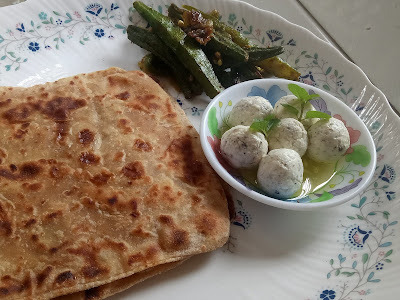 Then it is taken out and can be used as a dip or as an accompaniment to bread or rotis. With some freshly cracked black pepper and a generous drizzle of extra virgin olive oil. The picture above shows one of my breakfast plates with labneh balls, cooked okra and parathas. 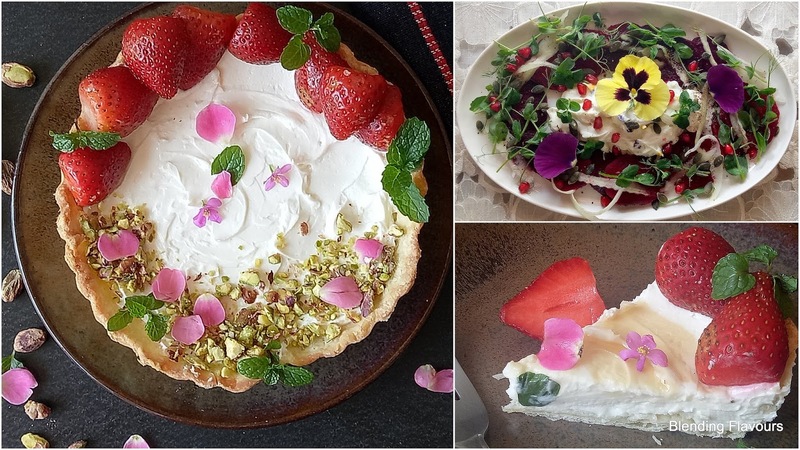 Tarts and salads work out beautifully with labneh. 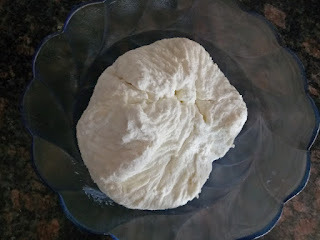 For sweet tarts, I add a bit of honey or icing sugar to the dahi before draining out the whey. The tart in the collage has a shortcrust pastry shell and the sweetened labneh has been embellished with strawberries and, ground pistachios, and a scattering of mint leaves and petals from my home-grown roses. The salad in the collage has labneh in the centre and is scattered with pea shoots (home grown ) and pansies from my pots. I had never made a floral labneh before but seeing such cheeses on the internet inspired me to try out floral ones. For this, place a cheesecloth in a bowl and line the bottom with cheesecloth. 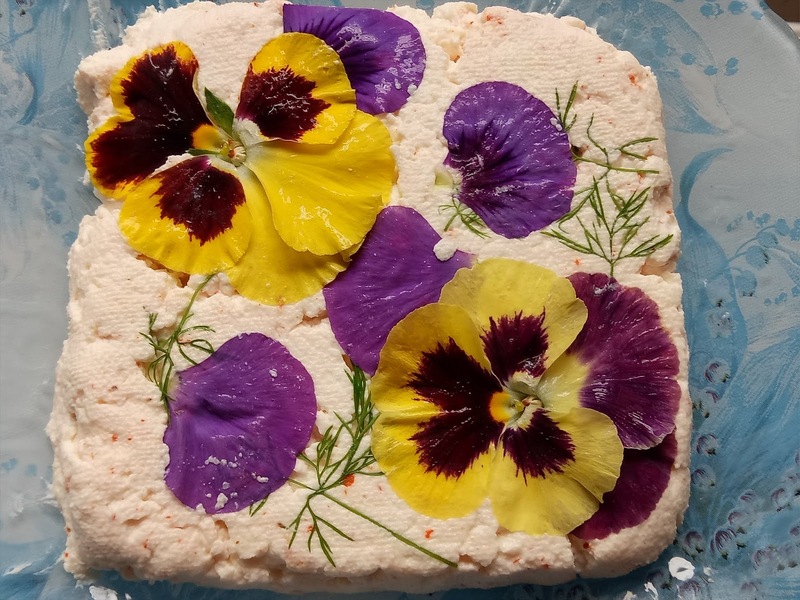 Place the edible flowers face down and any herbs you might want to add. I used home grown pansies and fennel leaves. The feathery leaves look pretty indeed. Then place the labneh on top of the adornments. Fold the cloth over and put another bowl or plate on top to add a little pressure on the contents. Take it out after an hour or so. Remove the cloth and carefully place the decorated labneh on a serving platter with the bottom side up. Voila, you have a lovely edible centrepiece on your table! I had used this picture in an earlier post. I love using labneh like this. By making little balls and adding them to other salad ingredients like roasted beets and microgreens with some nuts thrown in. Or slathered on freshly-baked bread. The possibilities are endless! !